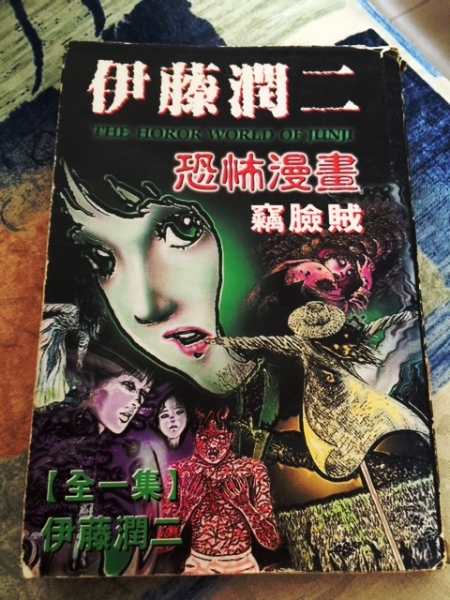 Before I begin with the review of the book, I guess I should discuss a little about the author - Ito Junji. Ito Junji is a manga artist known for his weird and sometimes creepy horror stories that I feel sometimes is trying to poke fun or reflect a certain social norms, cultural and superstitious believes. I started reading Ito’s manga out of boredom. Back in schooling days, my 2 best friends were manga fanatics. So 8 out of 10 of the time, our hang out place will be at a local manga rental shop opposite my house(it’s also the only manga shop near the school). 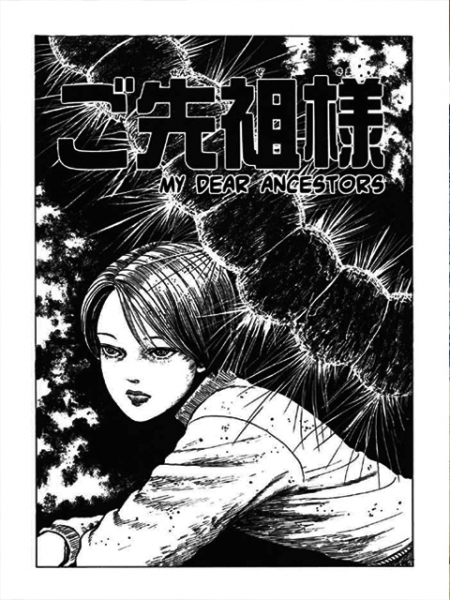 That’s when I get in touch with my first Ito Junji’s manga. I remembered being impressed and at the same time shocked by his drawings. 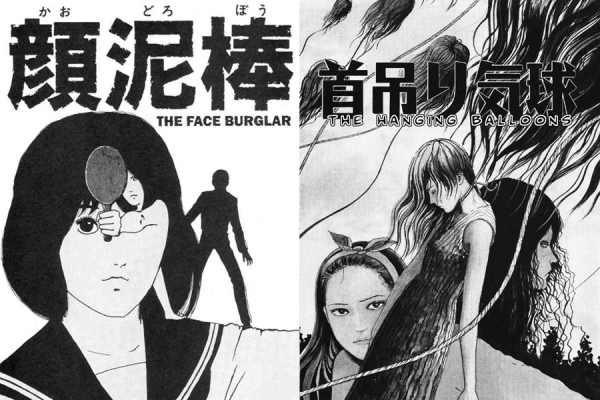 To be honest, I wasn’t prepared to be scare by a manga when I picked that book up as I was thinking “they’re just drawings.” But unlike most manga with characters having out of proportion big and glittering eyes and perfect chiseling chins, Ito Junji drawing style is that of a more realistic one. His masterful drawing and shading skill and his ability in creating weird ideas can produce images that leave a great impression. That’s the reason why I love and hate his books at the same time – I like the unpredictable and weird stories but this also means unpredictable and sudden scares too. But don’t worry, I haven’t “flung” any of his books away in fear yet. 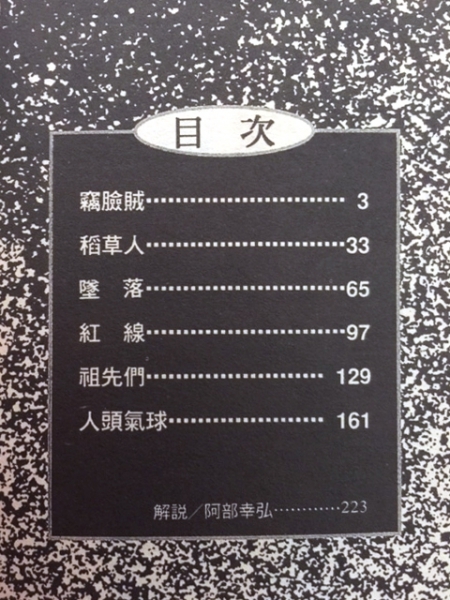 Anyway back to the book, this book is like most of his other books, it’s made up of a collection of short stories. I actually like how he keeps his stories short and sweet, without any unnecessary mystery or suspense just for the sake of it. I would actually like to highlight and recommend 2 short stories in this book – The Face Burglar and The Hanging Balloon. It’s not that the other stories are bad but these 2 just stands out too much. Both of the stories aren’t that scary graphic wise but is quite twisted in concept wise. I’ll refrain myself from giving any spoiler but I’ll just summarise in a few words, “mind blowing” and “unexpected”. However these 2 aren’t my personal favourite in this book. My personal favourite is actually My Dear Ancestors, which is obviously poking fun at some Asian traditional believes. I really like how he executed it in a straight forward yet creative way with his superb drawing skill. I really enjoyed this book a lot. I won’t say it’s extremely scary but there are a few surprises, great plots and graphics. I would definitely recommend it to any horror/thriller and mystery lovers. Yes, he creates scary drawings that are ver good. I disagree, I think that is too wide of an umbrella. If I would recommend this manga to a group of individuals it would be those who were more interested in the macabre. Specifically those who were macabre and loved manga. I’ve to agree, a handful of his stories touches on macabre, and unfortunately, those are the ones I don’t really enjoy as much. 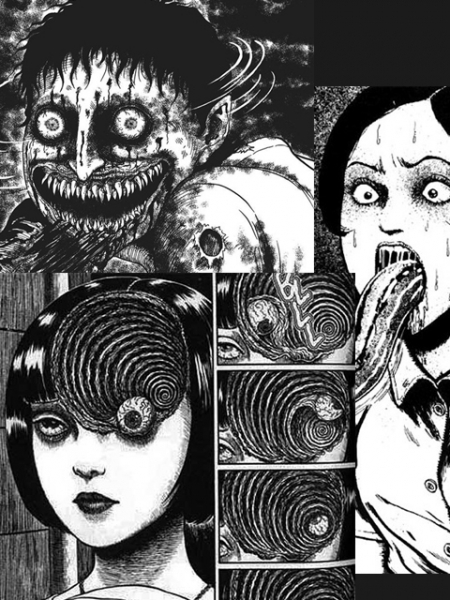 Yes, I think that Junji Ito has some of the most disturbing imagery that I have ever seen. It’s disturbing BECAUSE it is so impressive and well done. Some people might think that he goes too far with his work, but you’re reading a horror manga to be scared, so I think anything that can set you more on edge is fair game. Ito does it beautifully. What I don’t understand is why you would go into a HORROR manga not expecting unpredictable and sudden scares. Horror is meant to be scary and unexpected. Using weird subjects just adds to making the horror more off-putting. with popcorn covering their faces? it is so scary and interesting.